Choobi Choobi means lingaw lingaw kaon! “I love Choobi Choobi”, it says on their wall. I’m quite sure that you will agree with that statement. Choobi Choobi, the popular restaurant chain that originated in Cebu, has opened its 15th company-owned branch here in Bacolod City with a grand celebration that was graced by the owner and General Manager Stan Tanchan and Choobi Choobi’s celebrity endorser, Erich Gonzales. 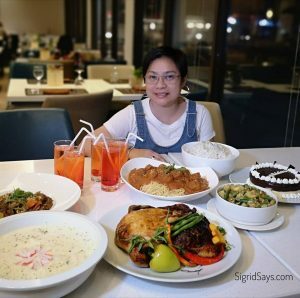 Located at the restaurant strip, North Wing of SM City Bacolod (across Watsons and SM Appliance), the new venture has been drawing crowds ever since their soft opening last January. And during the grand opening last Sunday March 6, 2016, it was again another crowd-drawer with people gathering to see Ms. Gonzales. Several people were also given the chance to have lunch for free at Choobi Choobi with Ms. Erich as part of their opening day gimmick. During the blessing and dedication of Choobi Choobi Bacolod officiated by Pastor Richie Dondonay of Victory Bacolod. 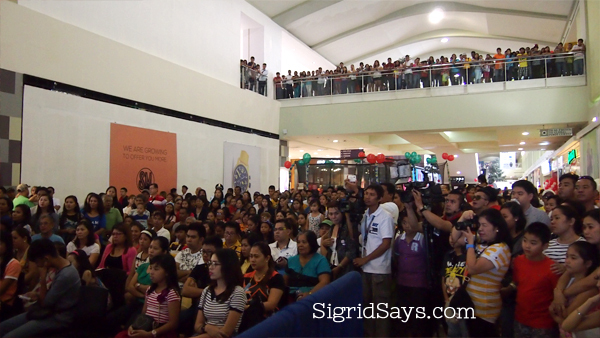 Owner Mr. Stan Tanchan during the opening of the Choobi Choobi Bacolod branch at SM City Bacolod. People flocked to the opening day of Choobi Choobi Bacolod to catch a glimpse of Ms. Erich Gonzales, celebrity endorser of Choobi Choobi. What Does Choobi Choobi mean? Choobi Choobi is actually a Fookien word that means “lingaw lingaw” in Cebuano, or loosely translated as “having fun” in English. It is the aim of Choobi Choobi to give its clients a fun time eating their uniquely designed dishes so that at the end they will say “Lami kaayo!” even though they are not Cebuano. 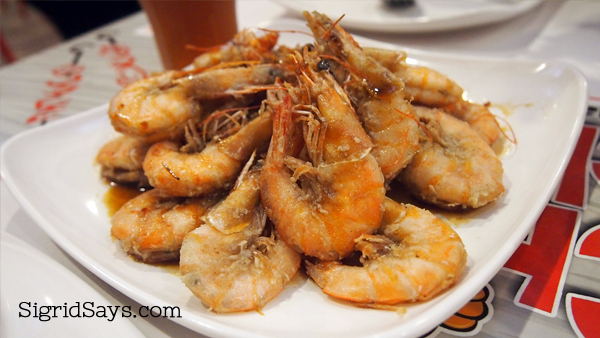 Choobi Choobi proudly brings in fresh and juicy seafood straight from Cebu’s best shrimp farm. 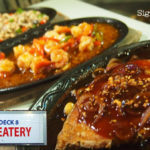 That freshness, along with their unique and flavorful dishes, offers a fresh and unique seafood dining experience for its rapidly growing fan base everywhere they have a branch. “Imagine a fresh catch of seafood served to you in exciting, flavorful ways,” their PR says. And yes, I have said that their seafood dishes are unique. They all have twists and unique flavors–not quite the usual stuff you have at Filipino restaurants. 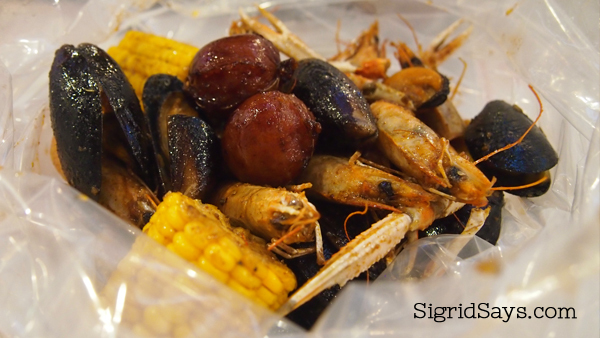 Assorted seafood in a bag at Choobi Choobi Bacolod. It can be cooked any way you like. Mr. Tanchan, who owns a shrimp farm and who has exported to many countries around the world, developed all the dishes served at Choobi Choobi. The modern restaurant was born out of his love for food as well as his desire to share it with great company and to share the experience to a great many people. Though shrimp is Choobi Choobi’s specialty, they have an assortment of items in their menu that are all so good! 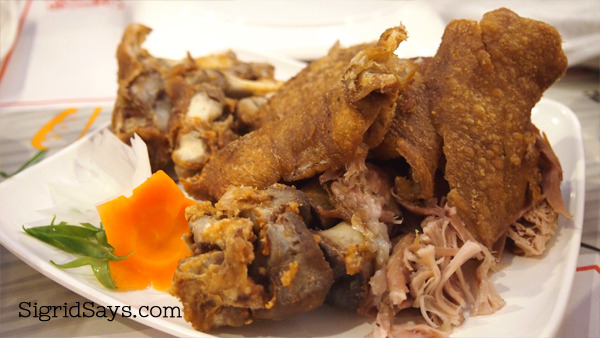 Choobi Pata–Choobi Choobi’s version of Crispy Pata. Now available at their branch at SM City Bacolod. 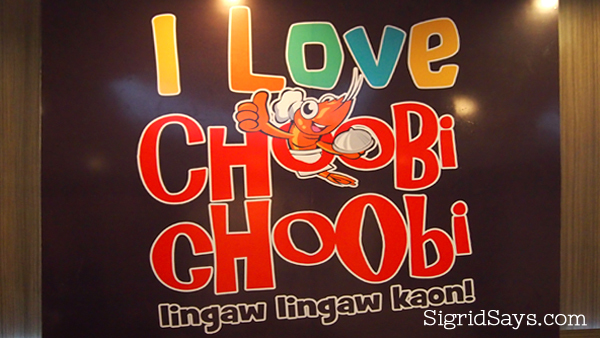 If it’s your first time to dine at Choobi Choobi, they suggest that you start with their specialty, Shrimp in a Bag. 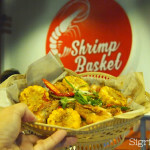 It is a pound of shrimp cooked in a variety of ways and served in a bag. They also suggest the Cha Tao Miao—stir fried snow pea sprouts. Their other signature dish is the Stan’s Black Pepper Shrimp, which is obviously the owner’s favorite. 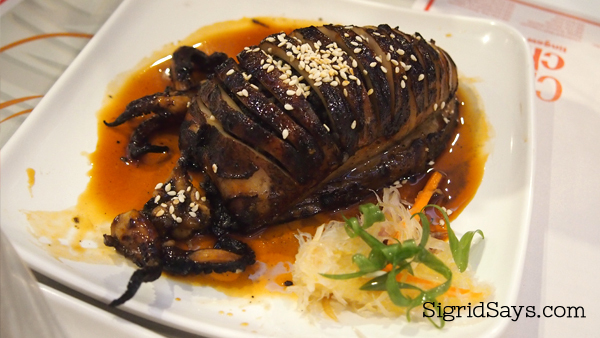 Personally, I would recommend that you try the Grilled Stuffed Squid that has rice with squid ink inside. So yummy! And unique, too. Only at Choobi Choobi Bacolod. 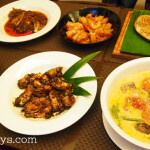 Other specialties are their family favorites, such as the Lola Pepang’s Chicken, Chilean Mussels cooked in the flavor of your choice, Stuffed Grilled Squid, and the Choobi Pata. They also feature signature drinks, such as the Fresh Pineapple Organic Wheatgrass, Fresh Pineapple Organic Kale, and the Lychee Organic Kale shake. 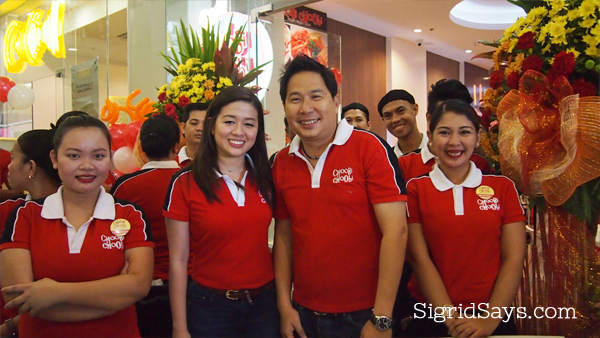 Visit the at the SM City Bacolod restaurant strip, North Wing.